"Cricket is a game that has always attracted mavericks and characters. Cantankerous batsman, lethal bowlers, criminal wicket keepers and philandering fielders feature as The Middle Stump looks at the good, the bad and the potentially dangerous of the cricket world. 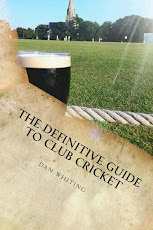 Dan has interviewed some of the biggest names in the game and those sitting on the knolls in the sun, and has spoken to everyone who is anyone in the cricket world. Now, based on years of cricket fandom and limited ability, he has collected the portraits of the most interesting players from recent years. Written in the same tongue-in-cheek and honest style that we have all come to love from The Middle Stump." Jesse Ryder - when a man of Jesse's drinking ability arrives in Essex, you can sense danger. However, it not only ended amicably but in the words of Arnie, "he'll be back". Ryder has previously retired from international cricket only to show up in the IPL a week later, punched a bar window through at 5am severing tendons in his wrist, so you can see that he fits perfectly in the alehouses of Romford. Andy Moles - this guy could seriously bat. 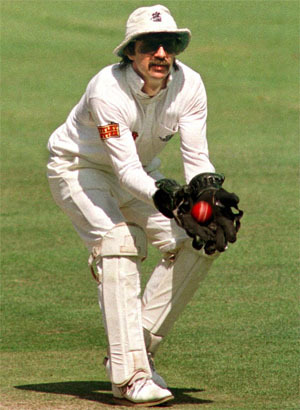 A mainstay of the Warwickshire dressing room in the eighties, he would score his weight in runs. And he scored a lot of runs. A diabetic, Moles was once batting and running low on sugar, whereupon the twelfth man brought a plate of sandwiches to the crease to him, amongst hoots of derision from the crowd. Richard Ellis - often known for batting in his Haileybury cap, Ellis was called up later by Middlesex to a game at Warwickshire. 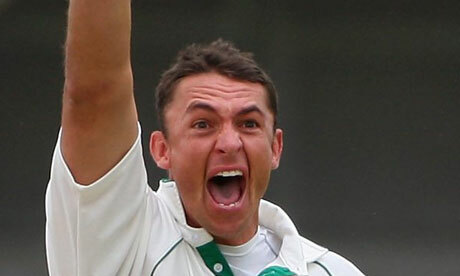 Having arrived late, and just about negotiated the infamous Edgbaston groundsman, Ellis was dismissed for a duck. Having been given the bird by the crowd asking the Oxford graduate if he read geography, Ellis gave them the thumbs up, only for one wag to shout out, "Was that how you got here today, by hitch hiking?" David Gower - similarities are startling between Gower's removal from England and Pietersen's. Kev never wore blue socks though, dive bombed a warm up game in a Tiger Moth or then got out a ball before lunch flicking casually down the leg side. Oh and he never left a press conference to go to the theatre either. Gower's fine for the plane incident would have been a lot worse had he discharged the water bombs he had taken with him, apparently. Andrew Symonds - the Aussie was a brilliant batsman and fielder but was kicked out of the team for going on the piss when he should have been at nets. Symonds would often go AWOL, and preferred to cast his fishing rod off a river bank when the merry go round of international sport got too much. Got involved with numerous spats with the likes of Harbajhan which are covered in the book. Paul Smith - the Warwickshire all rounder was a top player who could bat in the top order, bowl quick and had a long mane of hair flowing behind him. One of the nice guys, he turned when he crossed the white line. Whether that is the boundary or the vast amounts of cocaine that Paul admitted to taking depends on your point of view. Keeps Botham and Flintoff out of the Maverick XI. Jack Russell - bonkers but brilliant. Soaked his weetabix for exactly twelve minutes a day, and lived on baked beans once in India. Superstitious Jack caused a huge row once with the ECB over his hat, where they wanted him to wear a shiny new one, and he kept the one he had worn for all of his career. A brilliant artist these days, and one of the finest glovemen of all time. His ton against the Aussies or his knock to help save the Test when Athers got his 185 n.o. should not be forgotten either. Stuart MacGill - married the delightful Bronwen from Neighbours if you remember her? When the Aussie team would go out on the piss, Macgill would often be found in his room reading novels with a decent bottle of red. MacGill was kept out of the team by a leg spinner who was possibly the biggest maverick ever in cricketing history, but you will have to buy our book to read all about him. Steve Kirby - recently retired, the game will miss Kirbs. Had the pleasure of interviewing him on stage recently in Yorkshire and his private persona doesn't differ too much from the man you see in the middle. A source of many anecdotes, five minutes with this man will put a smile on your face. Never short of a word, he was famous for telling Mike Atherton that he "had seen better batters in a fish and chip shop". A quick, flame haired bowler, Kirbs had a great career that spanned eighteen seasons. Andre Nel - off his rocker. Nel had an alter ego called Gunther who was the man responsible for his actions on the pitch. Nel loved a glare, a word and was pure theatre. Thank Christ Athers gloved Donald behind and not Andre at Trent Bridge in 98, or Nel would have combusted. A veritable volcano ready to erupt at any time on the pitch. 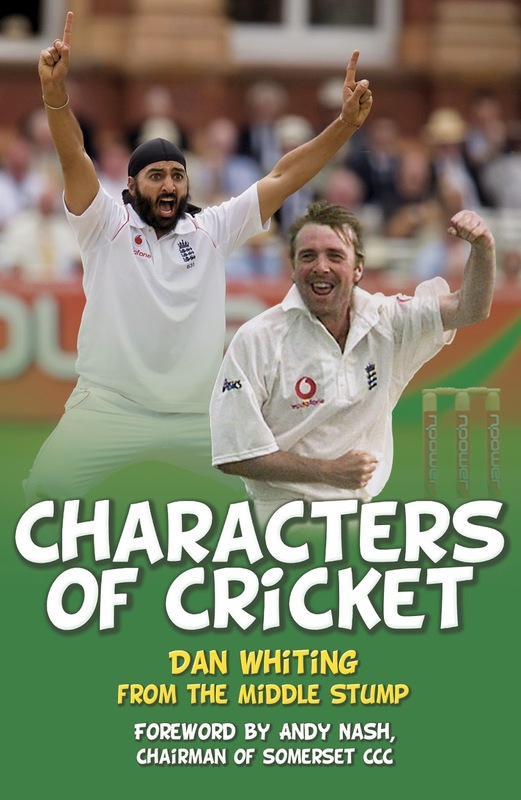 You can read about these guys and a whole host of other players in Characters of Cricket out next March via The History Press. Surely there is a place for Shahid Afridi in any Mavericks team? This is a man who sacked himself as Pakistan test captain (after one game) for playing a totally irresponsible shot!